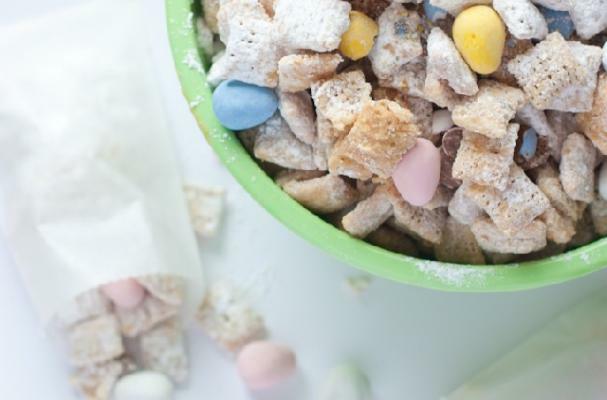 White chocolate and Cadbury Egg party egg party mix from Design Eat Repeat is a delicious twist on this sweet snack. Corn cereal is coated in white chocolate, peanut butter and butter before being tossed with powdered sugar. The white chocolate covered cereal is paired with milk chocolate mini Cadbury Eggs or your favorite Easter candy. For full recipe instructions, click here.